Ikebana International (I.I.) is a non-profit making, cultural organisation founded in 1956 by an American, the late Mrs. Ellen Gordon Allen. I.I. 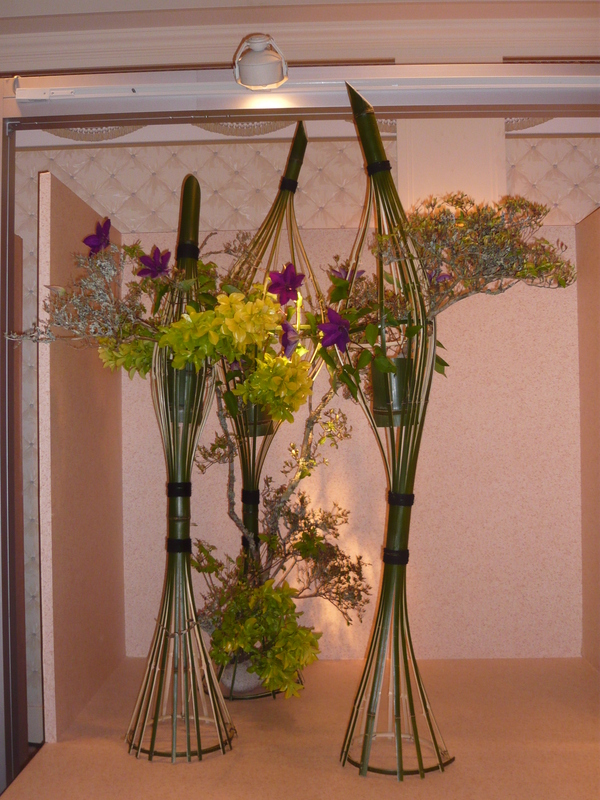 aims to stimulate goodwill and international friendship through the study of Ikebana. It also provides an umbrella organisation for the many different schools of Ikebana. Headquartered in Tokyo, Japan, Ikebana International benefits from the advice and full co-operation of the headmasters of all the leading Japanese schools of Ikebana. Ikebana International has 162 chapters around the world. The London chapter, No.6, founded in 1956, was the first chapter in Europe. It has members from many different schools as the founder of I.I. intended. This mixing of ideas and styles is a great stimulus for further creativity. The London chapter of Ikebana International holds meetings with a varied and interesting programme of demonstrations, workshops, exhibitions. Members also receive annually three beautiful and colourfully illustrated magazines from Tokyo covering arrangements from many different schools and the culture of Japan. Members also receive three news letters a year from London chapter.